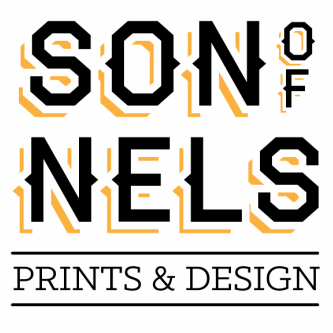 Son of Nels is a print and design company based out of Minneapolis, Minnesota. I began over seven years ago in a tiny studio apartment in St. Paul, today my work has been featured in screen printing books, exhibited in art galleries and have been sold in various locations around the midwest. I started printing out of curiosity and I keep printing because it became a passion. My hand-pulled screen print work focuses on poster design, t-shirts, business cards, logos, and more.